Cuprum was created in 2006 based on the works Miles Newlyn. 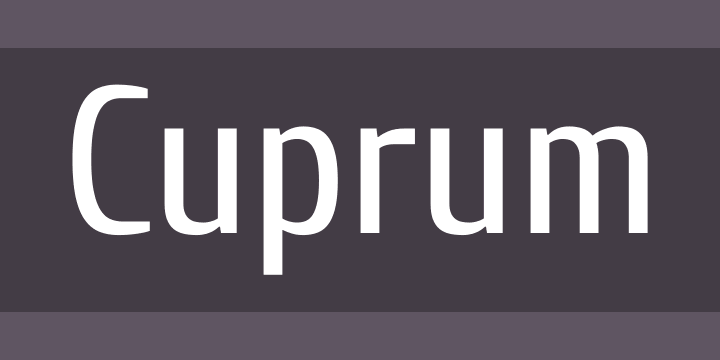 Cuprum is a narrow grotesque. It is quite versatile. Mostly how it is now, I do not like myself, because as time passed and since then I have learned to make fonts much better. An interesting history of the appearance of his name: Cuprum is copper, not gold or silver. Copper is too noble, but it is much cheaper and copper is not used for medals – only pots.